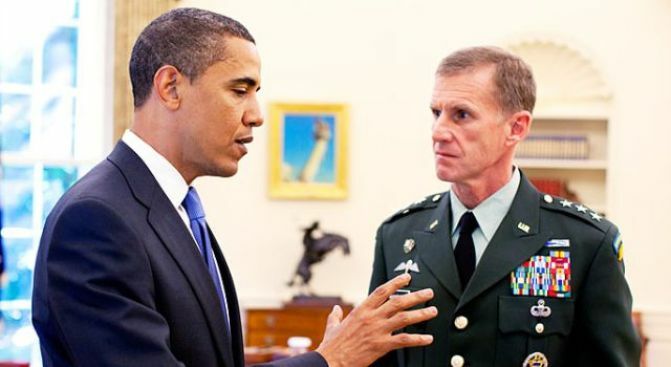 Lt. Gen. Stanley McChrystal, is now in charge of the war in Afghanistan. Defense Secretary Robert Gates will have the U.S. commander in Afghanistan’s request for additional troops by the end of the week, Pentagon spokesman Geoff Morrell told reporters Wednesday. The widely anticipated request from Gen. Stanley McChrystal will stay with Gates until President Obama and his national security team – busy this week at the U.N. General Assembly in New York – are ready to consider it, Morrell said. The announcement comes as lawmakers on Capitol Hill, including House Majority Whip Rep. Steny Hoyer (D-Md. ), have called for McChrystal to testify about his assessment of the president's strategy in Afghanistan. Republicans have begun to grumble that the administration doesn’t want Congress to hear from the four-star general. Morrell suggested that putting McChrystal’s “resource request” under Gates’s review might transfer some of the heat. “The secretary would rather have the focus be put on him rather than Gen. McChrystal,” Morrell said. “We’re going to move with speed, and we’re not going to rush it. We’re going to get it right,” he added.